"A magical, fantastical RPG, most likely like nothing you have ever played before." 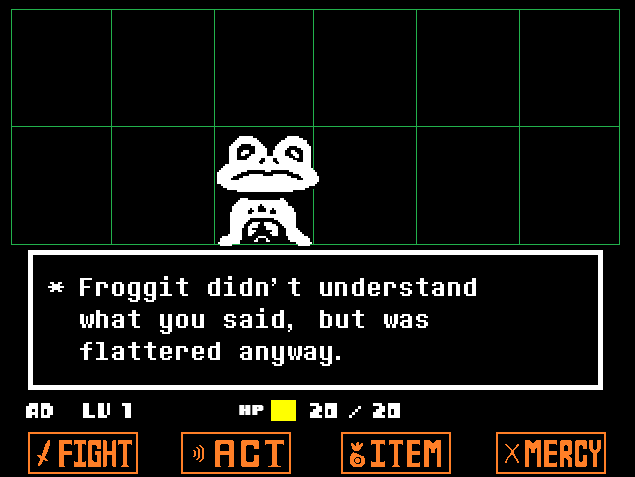 Undertale is a new independent game developed almost (or perhaps fully) single handedly by developer Toby Fox. Although it has been in the making for some time, now it finally has its full release and it sure is receiving a lot of praise, some even billing it as the best game ever and perhaps they are right, Undertale game is very deserving of all the plaudits coming it's way. 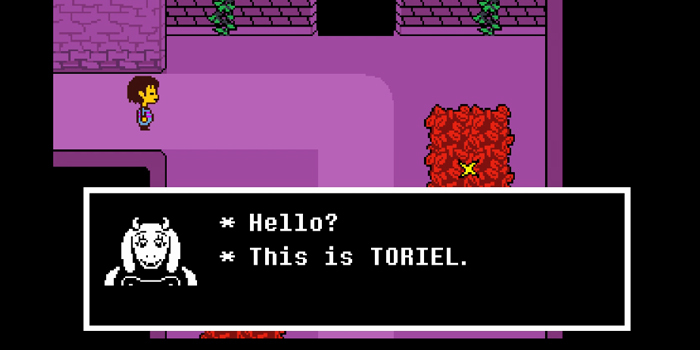 You take on the role of a non gender specific young person who you can name to your liking and then you are guided through the first parts of the game by a ghost like but pleasant and friendly lady figure named Toriel after explaining to you a few of the basic game concepts she has to leave on business and asks you to wait in the same room until she returns…of course temptation is too much not to continue the quest alone. So off you go on your merry way and this is where the adventure starts, you encounter numerous monsters all with unique personalities some are timid and shy or cowardly some are strong and aggressive your interactions with these creatures will depend how the game plays out in front of you depending on how you choose to interact with the different characters that you will meet along the way. The game has a rather unique battle system where you must move your heart around and avoid the with pellets being thrown at you before attacking by using a timing based system where you must try to stop your bar in the correct spot to inflict the most damage. Now this may sound like the game involves a lot of fighting but actually the battle system is very different because you are not always required to fight, you can chose to interact with the creatures you come across and try to talk your way out of battles by using conversation that looks in to their insecurities, if you tailor your possible answers to the information they have given you, you may well find you can walk away without having to fight at all of course this is all up to you and how you want to play Undertale. When you meet different enemies you must decide if you need to fight or if you can talk your way out of the situation, you must try to read each different enemy as they react differently so choose your answers carefully based on your conversations with them, you can be sympathetic or complimentary if your enemies seem to have a little neurosis which most of the enemies in Undertale do! The different personalities in the game is part of what makes the game so good and if you choose the right way to interact with all the different characters you may be able to get through the whole game without having to fight anyone in this excellent free game. In this fantastic game get to know the strange and curious characters such as Sans, Papyrus, Flowey, Mettaton and Undyne and see if they can help you to complete the most complicated tasks like the Piano Puzzle. Undertale is a deeply profound game with lots of interesting and different characters to meet who all have unique and interesting personalities and it is the wonderful and developed world that you become a part of that makes playing Undertale such a moving and enjoyable experience. The feedback for the game has been hugely positive and shows even in this day and age that you don’t need the most beautiful graphics to create something with a great story that is playable and fun. So is it the best game ever made? We highly recommend you download Undertale and decide for yourself if it is the best indie game or perhaps the best game ever made, the game is completely free and there are many hours of game play to enjoy, it is no wonder Undertale his becoming so hugely popular. 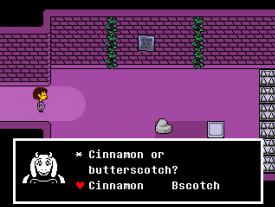 Play Undertale on your PC and try out different kinds of battles! There are different ways to play Undertale, you could complete it being a pacifist the whole way through for example and talk your way out of every battle, or you could battle every person you meet and it almost seems as if it is a different game depending on the way that you choose to play of course once you have played it through in one manner you can start again and try in another way meaning that Undertale has plenty of replay ability. Undertale may not blow you away at first but give it a little time and I’m sure it won’t take long for you to be as taken with the game as nearly everyone who has played it has been. The music is also perfect and just right for this kind of game. 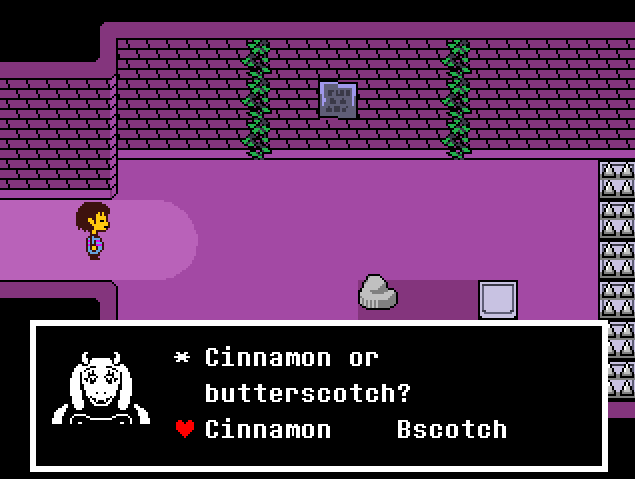 Last decision: Download Undertale for free! You can download the free demo here and decide for yourself if Undertale has the same profound effect on you that so many people have reported so far. 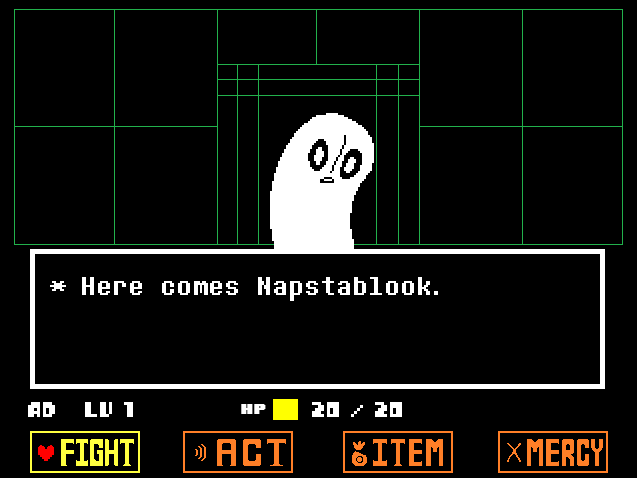 This is a short guide to help you learn the basic controls of Undertale.